EY helped a leading global biopharma develop the operating model for a transformational therapeutic approach. How can individualized cancer care go from ambition to reality? There will be 23.6 million new cases of cancer worldwide in 2030, according to the WHO. The fight against cancer has made huge strides over the past 30 years. Survival rates have doubled and people are living longer with cancer than ever before. Novel treatments are helping patients delay worsening of their disease or lower the chance of recurrence, while improving their overall quality of life. new cases of cancer worldwide in 2030, according to WHO. However, cancer remains one of the world’s most pressing health care challenges. Because of an aging and growing population worldwide, there will be more patients with cancer seeking treatment. According to WHO, there will be 23.6 million new cases of cancer worldwide in 2030, and it is imperative that scientific and technological advancements outpace the growing burden of this deadly disease. We continue to make rapid progress with the application of knowledge about mechanisms underlying cancer. This has allowed evolution of the treatment paradigm for most cancers, from the traditional one-size-fits-all approach, to an individualized approach. The ultimate goals of this individualized care are to be able to analyze a patient’s tumor for genetic abnormalities, develop a drug (or combination of drugs) that target those abnormalities and track the response of the tumor using molecular markers. While targeted therapies that act on specific molecular targets have been the focus of cancer drug development in the past decade, we are witnessing the emergence of individualized treatments that uniquely target each patient’s specific cancer mutation profile. Individualized therapies may take many forms (e.g., adoptive cell immunotherapy, peptide- or mRNA-based vaccines, gene-based). The first few therapies using an adoptive cell immunotherapy approach (CAR-T cells) have already received marketing approval and other therapies targeting specific mutations are showing great promise in early-stage clinical trials. This changing clinical paradigm in cancer medicine from a mass-market “1 for Many” treatment paradigm to an individualized “N of 1” approach has significant implications for the different stakeholders involved, including patients, health care providers, health services companies, insurers/payers, and the pharmaceutical industry. At EY, we have been examining how we can shape the ecosystem and develop a digital platform to overcome the challenges involved in bringing this breakthrough science from the bench to the bedside. One of the key requirements to move cancer care to an individualized “N of 1” approach is to have an operating model and supply chain in place that can guarantee each therapy is designed, manufactured, delivered and administered to the right patient, at the right time, every time. The main challenges beyond manufacturing are the logistics involved, including systems, processes, training and behavior change needed to coordinate the accurate and timely flow of materials and information in the end-to-end value chain. “Truly individualized care requires you have an error-free outcome from beginning to end. It means you need a fail-safe value chain with far better transparency and a real time understanding of what's going on with every individual patient in the course of their therapy at any point in time. And since patients are already quite ill, it needs to take as little time as possible,” says Karl Roberts, Executive Director, Operational Value Creation, EY. As a key advisor to major global biotechnology companies, EY is developing an approach and operating model to help clients overcome the myriad challenges of successfully bringing individualized treatments to market. How are we approaching this challenge? The starting point is asking the right questions. Re-imagining the biopharma supply chain, processes and tools to help provide the patient with the right individualized therapy at the right place and time. A cross-functional EY team looked at each step along the value chain and asked what are the required changes to the existing ecosystem, what issues could arise and how they could create an effective solution. To develop the appropriate approach, the team reached out across EY to different service lines and geographies to find the right experience and bring the best of the organization to solve this complex problem. Genetic sampling and sequencing: Core to this client’s individualized treatment is collecting a patient’s blood and tumor biopsy, analyzing their genetic makeups, identifying genetic mutations in the tumor, and then developing a therapy that targets specific genetic mutations. However, there is no industry standard that exists today to do genetic sequencing at the required level of specificity and commercial scale to serve a global market, so the key question was how do you create an ecosystem where that could exist? 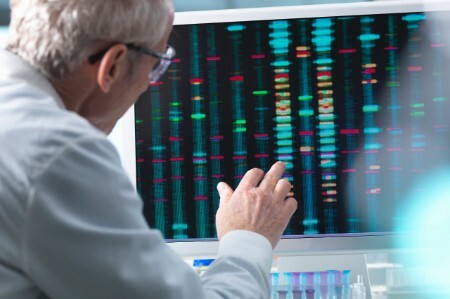 The EY-Parthenon Life Sciences teams undertook research to understand how they could work with genetic sequencing companies to meet the requirements. Transportation logistics: Moving not just patient samples but very large amounts of patient data safely and securely was a central challenge to implementing the client’s individualized therapy. For instance, crossing national borders means crossing different jurisdictions, which may have different regulations pertaining to the movement of data, tissue and therapeutic products. Approaches had to be found that allowed end-to-end operations to exist within different legal and regulatory guidelines. Administration of the therapies: Today, most cancer drugs are administered to thousands of people, so how would health systems and oncologists deal with the issue of receiving, storing and administering a therapy that is intended only for a single individual patient? The EY-Parthenon team conducted market research of more than 100 subject matter experts (practicing oncologists, oncology thought leaders, health care providers, payers and other stakeholders) across multiple geographies (US, France, Germany, Spain), to compile this data and understand the current paradigm and needed behavioral and process change from a commercial standpoint. 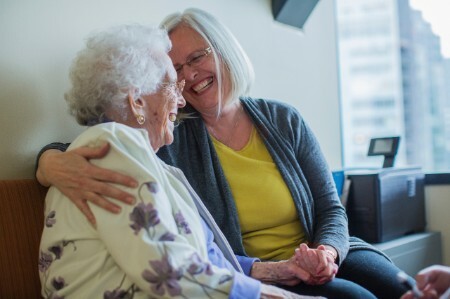 Care management: As life expectancy after cancer diagnosis and treatment continues to improve, there is growing recognition of the need to address patients’ health, wellness, emotional and psychosocial needs from the time of diagnosis through treatment and survivorship. The key question was how to leverage the large body of data accumulated on the patient to improve the patients’ overall health and quality of life by suggesting appropriate treatments to manage comorbidities, avoiding unnecessary treatment or suggesting appropriate lifestyle modifications. Furthermore, new tools that engage patients in their own care, such as web programs for symptom monitoring, psychological support and overall health management are needed. 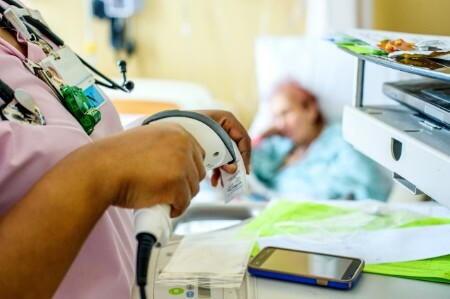 These new therapies offer a unique opportunity to directly engage patients and empower them to take better control of their treatment and overall health and the question was how to make that possible in an end-to-end care management system. “By providing tissue samples and genetic and clinical data, patients are providing invaluable information and contributing to innovation that offers the promise of better treatments for themselves and other patients. We must devise approaches that offer patients greater control over their health data, and help them to make more informed decisions regarding their treatment and overall health,” says Kakkar. By enabling each of these core functional areas, it aims to build an end-to-end solution to help each client manage its own ecosphere to deliver the individualized cancer therapies of the future. The EY team will provide clients with support on the decision to buy, partner or build the capabilities to deliver this ecosphere. Joint ventures, alliance management and other partnership structures will be critical to building and connecting the various capabilities and systems needed. New incentives structures and performance metrics are also needed to help ensure the ecosphere is operationally and economically viable for all the stakeholders. The new digital ecosphere will facilitate a timely flow of information and materials along the end-to-end value chain, helping patients to receive the care they need. By creating this Digital Ecosphere, EY and Microsoft are laying the foundation that will bring the potential of individualized treatments to a global market. And this won’t be the end of the road. In order to implement individualized care properly there needs to be transformation across the industry and the health care ecosystem. The different stakeholders involved in the providing care need to rethink their operating model and develop an entirely new value chain. One that requires timely, error-free coordination, communication and hand-offs between often-disconnected health care stakeholders; the secure sharing of unprecedented amounts of medical and genetic data; and the efficient transportation of sensitive, patient-specific blood samples, biopsy tissue and the resulting individualized therapies. Individualized therapies can dramatically improve patient outcomes and help alleviate the burden of cancer. EY and Microsoft are laying the foundation to support these revolutionary therapies reach patients in need and transform cancer care worldwide.